WaPo's A summer reading list from college admissions counselors includes books for "parents, students and everybody else. The list includes books about college, other non-fiction and great fiction." 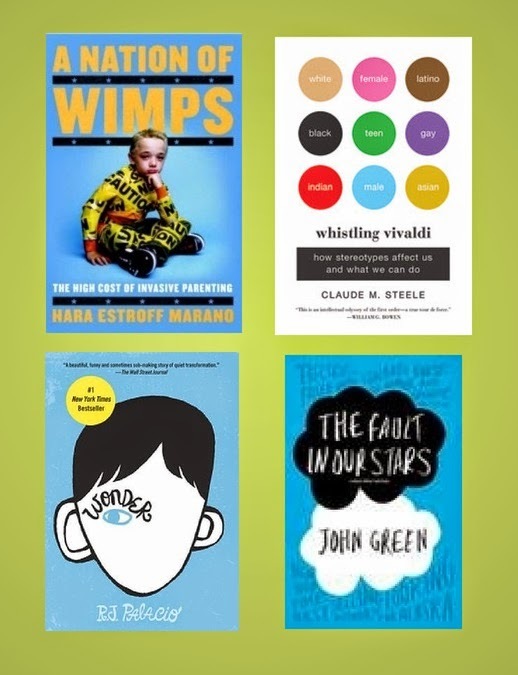 Some from the list: A Nation of Wimps: The High Cost of Invasive Parenting (available at Politics & Prose), The Fault In Our Stars (available at Politics & Prose), Whistling Vivaldi (available at Politics & Prose), and Wonder (available at Politics & Prose).